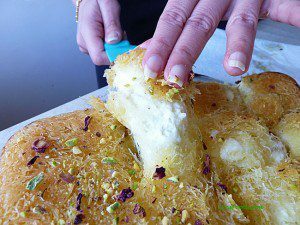 Knafeh, also spelt varyingly as kanafeh and kunafeh, is a Middle Eastern sweet made from shredded phyllo pastry (called Kataifi/Qatayfi pastry) stuffed with delicious gooey cheese drenched in scented sugar syrup. Sounds amazing, doesn’t it? 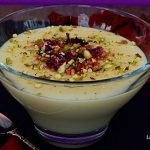 So many Middle Eastern desserts and sweets do share this typical combination of pastry and syrup bath, resulting in a sickly sweet flavour that many Western palates take a bit of getting used to. But once converted, you’ll never get enough! Many of you will know that it is now Ramadan, the Muslim month of fasting. 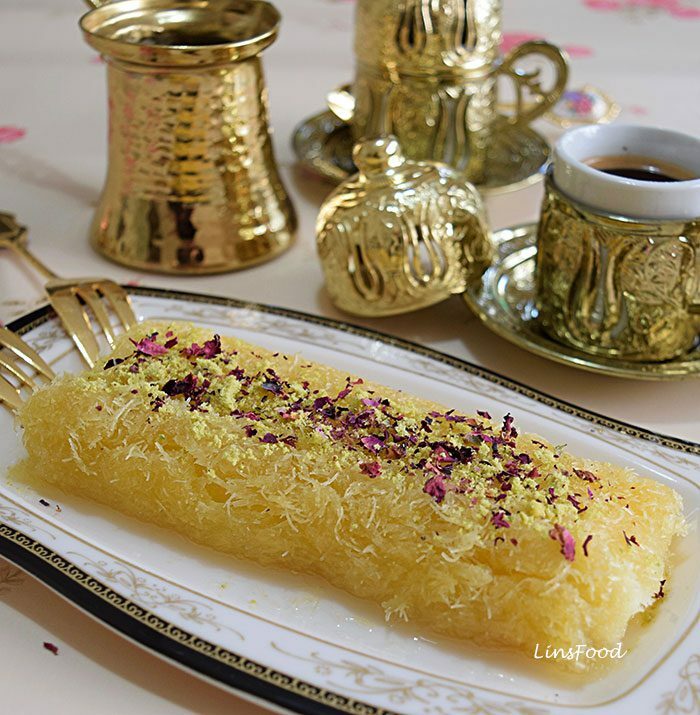 It is customary to break one’s fast with something sweet and Knafeh makes a regular appearance at the Iftar (breaking of the fast) table; its high sugar and high fat content is just perfect to make up for a whole day of fasting. 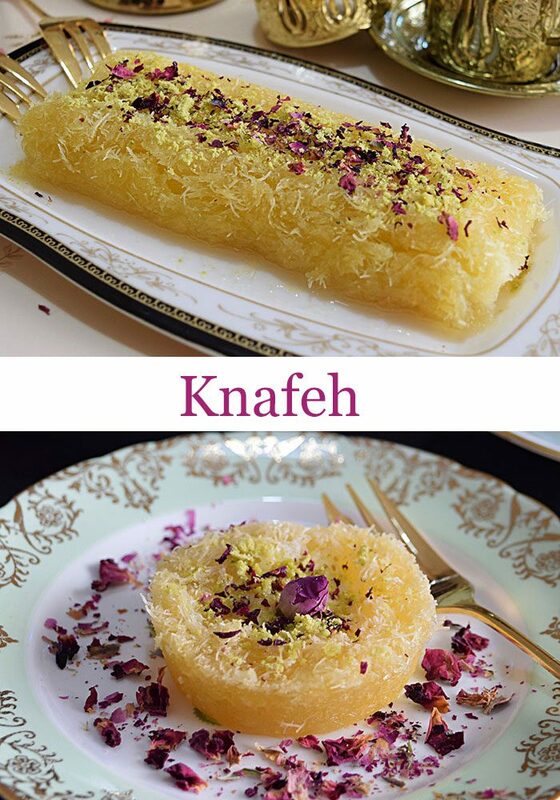 Knafeh can also be made/shaped in different ways. 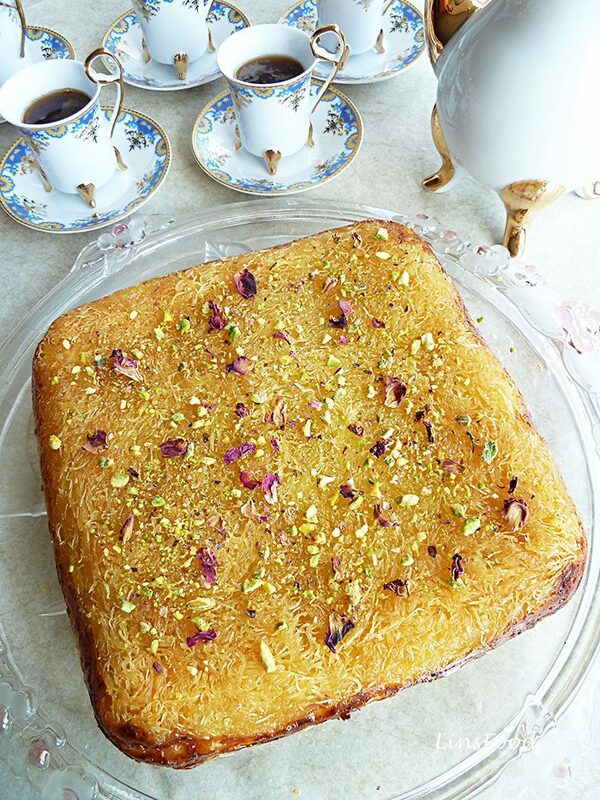 My “all in one” version here, is the old, traditional Knafeh Nabulsi, and to me, is the easiest and quickest to make, but, it isn’t always the neatest or prettiest looking when cut up, unless you use a whole lot of pastry to “toughen up” the ensemble. 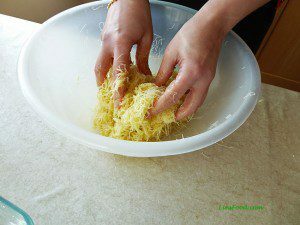 You could also make knafeh rolls, in effect making a thin layer of pastry, topping it with the cheese filling, then rolling it up like you would spring rolls. 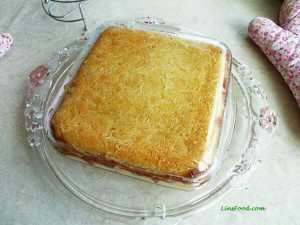 These are called Khishnah Kanafeh, as in the top image. My other favourite way of making it and I definitely get my little helping hands involved, is to make little cups of pastry in a cup cake or mini muffin tin like this one. We then top it with our cheese filling and bake for a shorter period, then soak in syrup and top with pistachios. No cutting required and very cute and pretty looking indeed but of course, just a little more time consuming with filling up the muffin tin. Having said that, it only takes me about 10 minutes to fill a 12 cup cupcake pan. 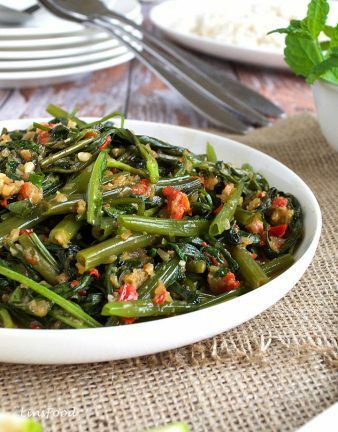 And as you can see in the image below, it is very pretty and easy to eat! We shan’t go into the Mediterranean variation of stuffing it with nuts like the Baklava, because let’s face it, that’s just way too much information! Now let’s talk about the cheese. I know. You thought we were on the recipe already, didn’t you? 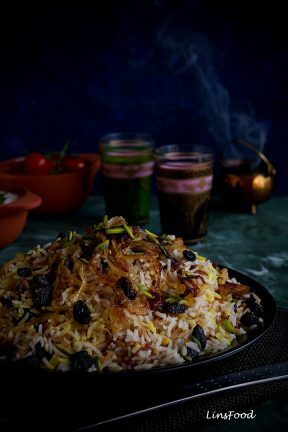 The traditional cheese used in Knafeh Nabulsi is Akkawi cheese (variant spellings: ackawi, akawwi, akawi), named after the Aker region of Palestine where it originated. Commonly made from cow’s milk, it is a soft, unripened, slightly salted cheese that’s popular right across the Middle East and is a common table cheese. It doesn’t completely fall apart when heated and has that stretchy texture synonymous with mozzarella, which is why the latter makes the perfect substitute for those of us who don’t easily have access to akkawi. I learnt to make knafeh in the mid 90s, from one of my Egyptian colleagues, Sarah. We used to make it with akkawi all the time as living in London gave us access to so many exotic ingredients, but there was the odd occasion when we would resort to a combination of mozzarella and ricotta. 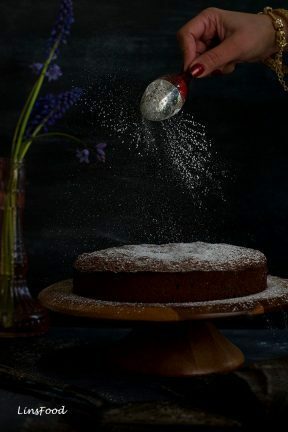 A couple of years into my knafe “experience”, being a huge mascarpone fan, I made the natural move towards using mascarpone instead of ricotta, by that time also, I was giving weekend Italian cooking classes, so I always had mascarpone! Well, I suppose I always had ricotta too, mmm, maybe I ran out one day? Suffice it to say, I think mascarpone’s creamy texture and flavour is perfect in this. 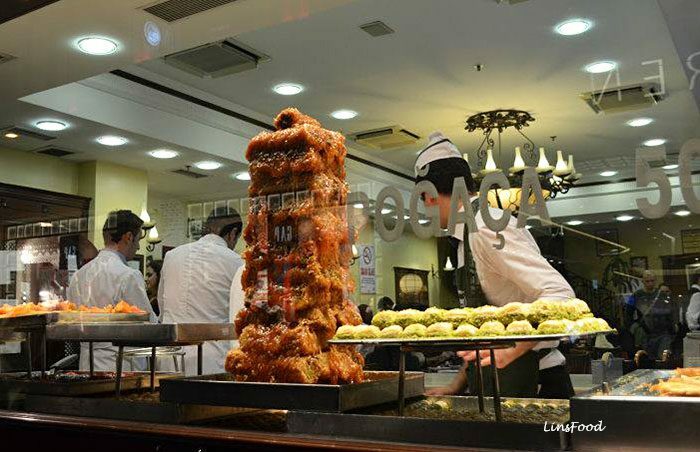 Incidentally, the Turkish version of Knafeh, called künefe (above), is actually eaten with clotted cream. So here we are, finally, at the recipe! I shall give you the instructions for Knafeh Nabulsi, the easiest one to assemble. I use my 8″ x 8″ square baking dish for this. Use something similar and at least 2″ deep. The mozzarella is soaked overnight to desalt it as this is a sweet. 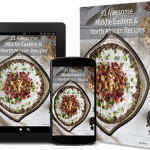 Easy Knafeh recipe to make at home using mozzarella and mascarpone. 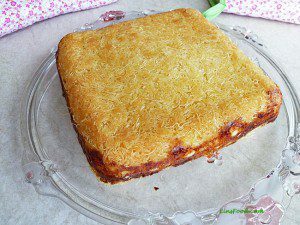 Also spelt as Kunafeh and Kanafeh, it's a popular Middle Eastern sweet. Place the water and sugar in a saucepan and let it come to boil. Lower heat and simmer for 5 minutes to thicken. Take off heat and place on cool hob, then add the lemon juice and rose water and stir. Cool to room temperature, then place in the fridge until the next day. 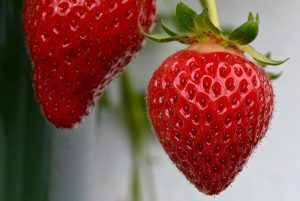 Cut into slices and soak in plenty of cool water in a large bowl. Place in the fridge overnight and change the water at least a handful of times in that period. The water will get cloudy, don't worry. 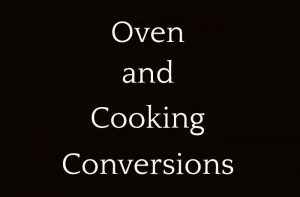 Preheat the oven to 190˚C/375˚F. 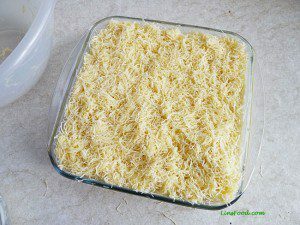 Place in a food processor and pulse a few times until the Kataifi pastry is all shredded. You might have to do this in 2 go's. Place the now shredded pastry in a large bowl and pour most of the melted butter in, leaving some behind. Using your fingers, mix it all in thoroughly, coating every strand of pastry with the butter. Add the rest of the butter if needed, mix thoroughly again and set aside as you get to work on your cheese. 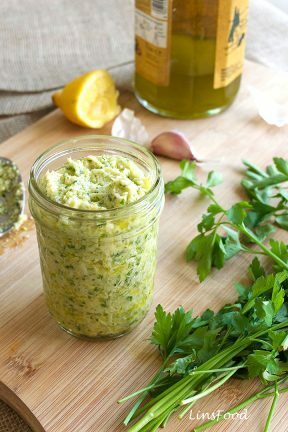 Clean the food processor with kitchen paper and place the drained mozzarella in. 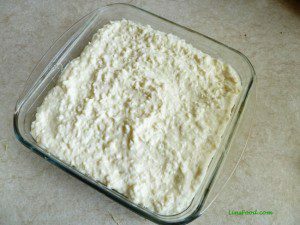 Blitz the mozzarella until it's all diced up and resembles cottage cheese, ie, tiny lumps. Transfer the mozzarella into a roomy bowl and add the mascarpone in. 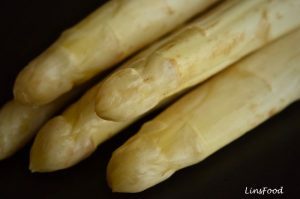 Using a wooden spoon beat the two cheeses together until thoroughly combined. This may take a couple of minutes. Place half the butter soaked pastry into the bottom of your chosen pan and pat down firmly. Top the cheese with the second layer of pastry and pat down firmly but gently, as you don't want the cheese getting displaced. Bake in the oven, on the middle shelf, for 35-40 minutes until the pastry is a lovely golden shade. Leave to cool for 5 minutes, then using a butter knife or something similar, run it through the sides of the knafe to release any pastry and cheese that's sticking to the dish. Take your serving plate, place over the baking dish and using your oven gloves or thick tea towel, flip the knafe over onto the serving plate. Pour the cold syrup all over the knafe until it's saturated with the syrup and glistening, leaving the rest for serving. Leave to cool for another 10 minutes, then using a very sharp knife, cut it into little squares (easier than diamond!) by cutting through the pastry with the pointy end of your knife first. Serve with the leftover syrup in a little jug for those who fancy life extra sweet! 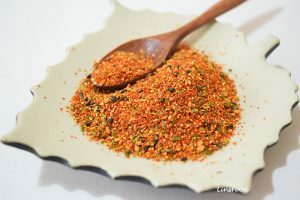 Garnish with the pistachios and petals before or after cutting, completely up to you. You will need a square baking dish that's 8" x 8" and at least 2" deep or something similar. Chopping up the pastry into really small shreds will make for easier cutting after baking. Total tim does not include prep work from the day before. Thank you so much for this recipe. This is the best Knafeh I’ve ever had!!!!!! The mascarpone is a brilliant idea. A pleasure, I’m glad you enjoyed the recipe. And yes, mascarpone is perfect, isn’t it? Thank you for taking the time to leave me a comment! 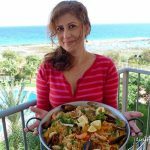 Thank you Azlin, this is one of the best posts I’ve seen on Kunafeh. I really love your idea of using mascarpone in it. I am actually about to start making it now, after soaking the mozzarella overnight. Thanks, looking forward to it! Thank you! How was it? Oh my goodness, where do I start? It was just incredible, everybody loved it! So moist, and the cheese with the syrup was simply amazing! Thank you again. I have been tasked with making 4 of them for a big family dinner next month, that’s how much everyone loved it! Fabulous! I’m so pleased to hear that! I was just in the holy land and had delicious Kanufe. It tasted similar to a delicious version of apple pie but without the apples (which I love). 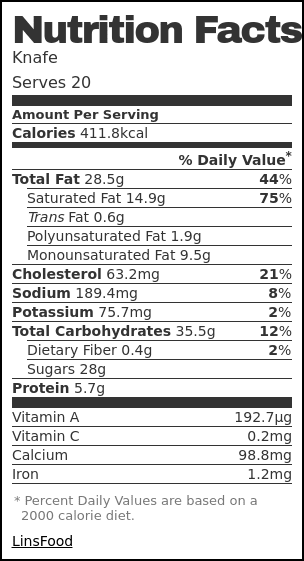 I don’t know why, I know the ingredients don’t call for apples. Is this because of the rose or orange blossom water or because of amount of butter used? I am trying to make one similar to the ones I tried on our trip. I didn’t even taste the cheese when I ate it the first time. Does the mascarpone mix with mozzarella taste more authentic or the ricotta mozzarella mix? Thank you so much. Hi Rosalinda, my best guess is because there is a huge amount of pastry involved in making kunafeh, and yes, because that pastry is mixed with butter. Apple pie pastry has the same aroma (as do many other pastries) because of that. Trying to replicate the kunafeh you had might not be the easiest thing as each cook does have his or her own secrets! 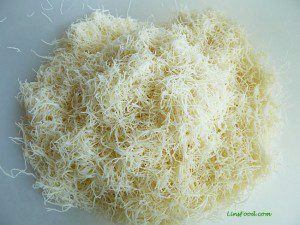 I’ve tasted many kunafehs in the Middle East that had a mixture of cream and akkawi cheese in it. To me, because of that, mascarpone and mozzarella is the best combination, given that mascarpone is just like cream in taste and texture, after whipping. Greetings & Best Wishes for Ramadan, God bless. Oh yum! If your family doesn’t want these, I’d be happy to come take them off your hands!! Haha. They look incredible! 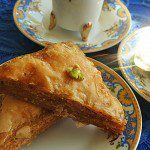 Haha, since first writing this post last year, my older kids have started eating Middle Eastern desserts! Not sure whether to be happy or sad about it – less to go around! Thank you Sarah! Holy cow this looks amazing! I love sweet and savory combinations. Thanks for introducing me to this! A pleasure, thank you Step! Love Knafeh! Yours looks incredible. 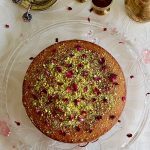 Love the rose petals and pistachio on top. Thank you Tara, me too, love knafeh, that is! 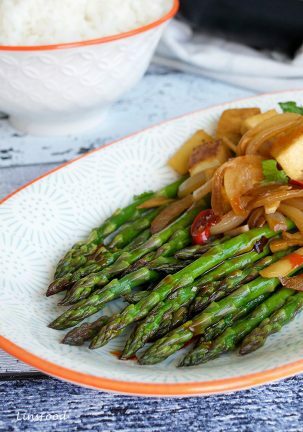 Wow, I’ve never had this dish before but it looks like something I’d love! What a lovely combination of flavors and with all of that delicious cheese? Sounds fantastic. Right? 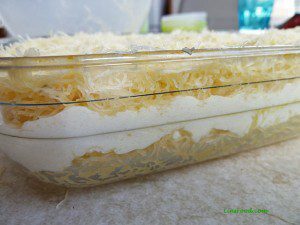 I just love the combination of the cheese syrup and pastry! Thank you, Amanda. This looks fantastic and I’m sure tastes yumm. I love how you explained the main ingredients so well…I’d once eaten it at a friend’s party n totally fell in love with the taste. Thanks for sharing the recipe. Thank you Molly, we are definitely huge fans! I’ve never heard of this before, but it’s so lovely! 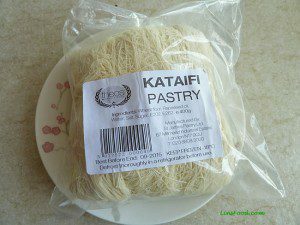 Would love to try — I don’t know where to find Kataifi though. Don’t think I’ve seen it in our markets. Thank you Lisa, Middle Eastern stores will definitely stock them if you have any around and they’re always frozen, so get a few packs and put them in the freezer. I get mine online as I don’t have any ME shops near me. I am so glad to be at your blog through the FBC sharing. 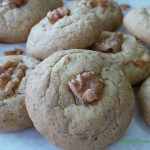 what a wonderful recipe.. something totally new to me. 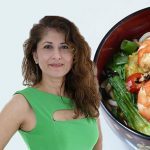 Thank you Sandhya! I’ve only just joined it and realised what I’ve been missing! It’s not easily available where I am either. I get it online. But Middle eastern stores should stock them. Thank you, yes sometimes desserts are too pretty to eat!